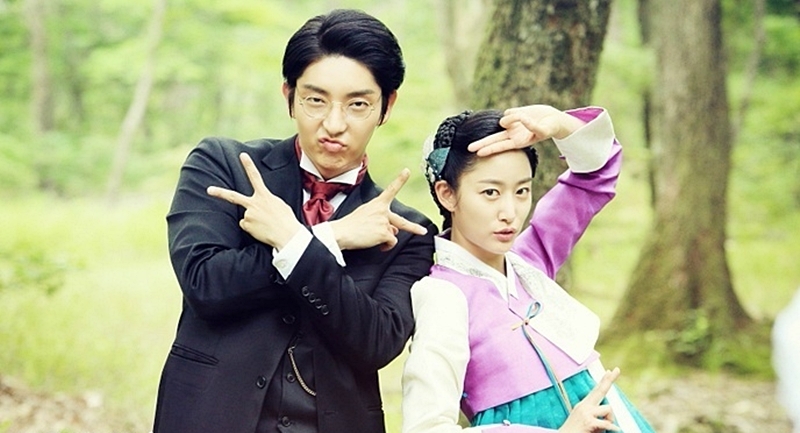 All About “Gunman in Joseon” Couple in Real Life! Many celebrities don’t publicly acknowledge their relationships easily because they are bound to harm someone. This causes them to try and keep their relationships a secret, but most of them always get caught by reporters. Take actor Lee Joon-gi and actress Jeon Hye-bin for example, the two met through Gunman in Joseon and developed feelings for each other. But before they confirmed their relationship, they denied the rumors several times, and at last confessed that they had been dating secretly for over a year. However, not long after the confirmed dating news broke out, a few months later they announced their break-up through official statements of ‘Namoo Actors’ agency. Let’s dig more the details about them below! Given that they know they’re in the public eye and will likely be followed by paparazzi when they least expect it, you’d think that most celebrities would keep any love relationship as secretive as possible. Well, that’s not exactly the case – after being embroiled in dating rumors, not once, not twice, but thrice, Korean actor Lee Joon-gi and Korean actress Jeon Hye-bin were photographed out on a late-night date by Korean media outlet Dispatch. The two have been caught on a supposed date and made the headlines. On April 4, 2017, they finally confirmed their relationship. It was reported that the two began dating since early 2016 and became aware of each other’s feelings through the drama they had played before Gunman in Joseon, back in 2014. But after two years of devotion, on August 25th, 2017, their agency Namoo Actors confirmed reports saying the two ended their relationship after four months of going public. An inside source said the reason for their break-up were their busy schedules, which led them to become distant and eventually break up. Regardless of that, the source has said the actors will continue to support one another as colleagues. They only have a one year age gap. Lee Joon-gi was born in 1982, while Jeon Hye-bin was born in 1983. The two have been in the same agency, Namoo Actors, since 2014. Lee Joon-gi is Jeon Hye-bin’s sunbae (senior) in the acting world, which is why at first she felt quite a gap between them. Their agency denied their dating rumors three times in June, August, and September of 2015. Dispatch followed the two for a while and gathered a lot of evidence of the two being suspiciously close. Like for example, Lee Joon-gi was seen walking, what appeared to be Jeon Hye-bin’s Pomeranian dog, named ‘Happy’. Again, they were seen together at a bar near Yakushu Station as they were greeting their acquaintances there. The eagle-eyed fans spotted that they were wearing the same necklace and phone case, long before they confirmed their relationship (photos below). When asked, their agency denied their relationship, saying that Jeon Hye-bin is simply wearing a necklace she bought on a Hawaii holiday 2 years before while the one worn by Lee Joon-gi was given by fans and appears to be a popular and common type of necklace in Korea. In December 2014, before the couple revealed their relationship to the public, entertainer Hong Seok-cheon posted a photo on his Instagram with a caption, “My Sweet” / “마이스윗” (the name of his restaurant which is well known for the many star couples visiting the place). In the photo he looks friendly with Gunman in Joseon actors: Yoo Sung, Lee Joon-gi, Jeon Hye-bin. Since the photo was posted, the rumors about the two of them dating circulated among the netizens. But at the time, they denied the rumors and said it was just a business relationship and they were only close friends (photo below). 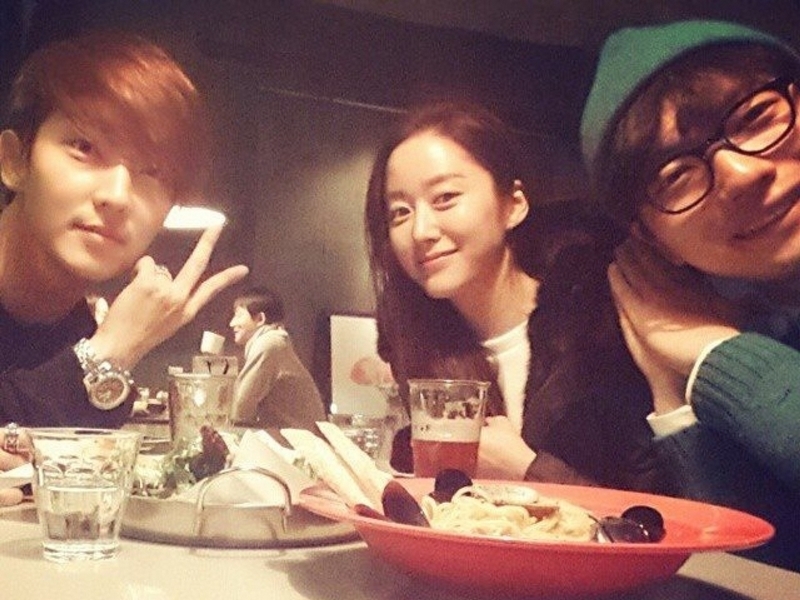 Lee Joon-gi once shared a photo of his Gunman in Joseon friends; Jeon Hye-bin and Lee Dong-hwi. The three sit side by side and smile, gazing at the camera and making eye contact with the camera (photo below). Jeon Hye-bin once shared that she became aware of his feelings because Lee Joon-gi repeatedly commented on her SNS. After the relationship went public, Lee Joon-gi left a letter expressing his affections for Jeon Hye-bin and his apologetic heart towards his fans on his official internet fan cafe. Their relationship caused controversy because Joon-gi was a cast member of My Ear’s Candy, a show in which celebrities are paired with each other in order to build chemistry, which hopefully will turn into romance. Fans questioned his sincerity toward his partner (Park Min-young) on the show, leading him to apologize. “I feel a tremendous amount of responsibility in terms of my appearance on the variety program. I would like to sincerely apologize to all the fans and viewers who showed much love and support,” he said in a statement. At last, the show My Ear’s Candy got cancelled to refrain from any complications or probable rating drops as Lee Joon-gi confirmed that Jeon Hye-bin is his girlfriend. According to the actress, they were friends for a long time before dating. “We had been a hyung and a dongsaeng for a long time because I’m a tomboy. And we thought we weren’t compatible at all. We didn’t see this coming because we were friends for a long time,” Jeon Hye-bin had said on a talk show. A Korean media commented on Lee Joon-gi and Jeon Hye-bin’s enthusiasm that they mainly enjoyed dates at Jeon Hye-bin’s villa located in Gangwon-do. It was also mentioned that they spent the 2017 New Year together as well. Also according to an insider, the lovebirds often meet at each other’s houses. Before, when Jeon Hye-bin returned to South Korea from South America, Lee Joon-gi went to her house to welcome her home. The couple were also spotted meeting up together with close friends, with Joon-gi wearing a mask to hide his identity. They ended the relationship the same year they announced it. Netizens speculated that the other reason, apart from their busy schedules, might be the hate comments left by Lee Joon-gi’s fans. Apparently, the hate comments on Jeon Hye-bin’s Instagram were pretty intense; cursing, bullying her, calling her names, and abusing her verbally. The comments were mainly from international fans in English and Chinese. Who is the Oldest Member and Leader of Blackpink ? What Are EXO Members Ideal Type Of Girl?